I imagine that you are all aware of what exactly is a translation but you may not be aware of the process that is involved in translation of documents and even less so, in the case of Sworn translations. You probably have a whole list of doubts that you are hoping to resolve, but you don’t know where to look. What is a Sworn translation? Can any translator provide a Sworn translation? How much does it cost, and how do the translators decide on the price? How long will it take? The translation profession is a relatively new one, but due to the expansion of the global market, it is one that is growing rapidly. In this article we hope to answer any questions that you might have, if one day you need to translate your birth certificate, university diploma or any other documents. What is a Sworn translation and who does it? Every country has its own system with regards to Sworn translations, so in this blog we will discuss just the situation here in Spain. As we have previously mentioned in this blog, a Sworn translator is a translator who is authorised to give legal validity to the translation of the content of a document written in another language. A Sworn translation is therefore, an official translation of a document written in another language. 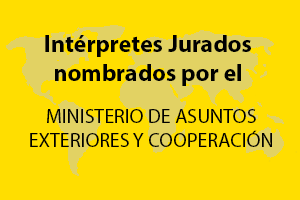 The Spanish Ministry of Foreign Affairs has granted the Sworn translator the authorisation to attest that the document that they have translated is true and faithful to the original document, and so upon finishing the translation they sign and stamp it, therefore certifying its legal validity. The price of the translation will depend on various factors including the length of the document (word count), the the specialist subject area of the text, the format, the languages involved and also if the translation is urgent. Before providing a quote we first need to see the document, and based on the aforementioned factors we are then able to establish a quote. For documents with a reduced amount of text, we have established a minimum rate. If you want to know how much the Sworn translation that you are requesting will cost, please don’t hesitate to contact CBLingua and inform us of your requirements. When determining the time frame for the translation we have to take into consideration the same factors which determine the price. As a general rule, a professional translator can translate between 2000 and 2500 words per day, although this amount may vary depending on the difficulty of the text, the format and the languages involved. For this reason, CBLingua needs to see the document in order to be able to establish the delivery date for your translation. Once you have sent your document, received your quote and delivery date and have accepted it, what happens next? Once you have accepted the quote and made the payment, we will start the translation process. One of the Cblingua project managers will assign the project to the appropriate Sworn translator, taking into consideration the work load and specialisations of each translator. When the translation is completed it will then be passed on to one of our proofreaders who will verify that the translation is correct. Through this process, CBLingua is able to guarantee that we provide our clients with the highest quality translations, ensuring that it is a true and faithful translation of the original document. When the translation is complete we can either send it to the address provided by mail or by messenger service, or if it is more convenient you can collect it from one of our offices.